Sam Mayes catches up with Nick Robertson to find out what he gets up to on his days off. Sam Mayes catches up with AFLW Captain Emma Zielke to find out what she's getting up to now the season is finished. 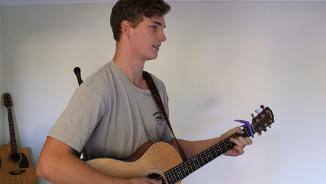 Sam Mayes stops by Sam Skinners place to find out what he likes to get up to on his days off. How good is his voice?! 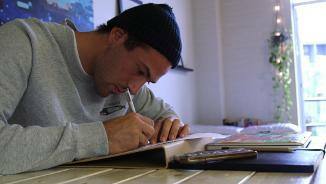 Sam Mayes finds out what Marco Paparone gets up to on his days off from footy! 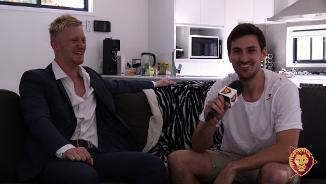 Sam Mayes is back on LionsTV and this year he's going to be finding out what his team mates get up to away from the Gabba. 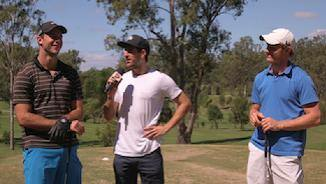 His first guests, Josh Walker and Ryan Lester, take him out to the golf course to see who's got the best game.